“The only thing we overlook is the bay"
Carlyon Bay. 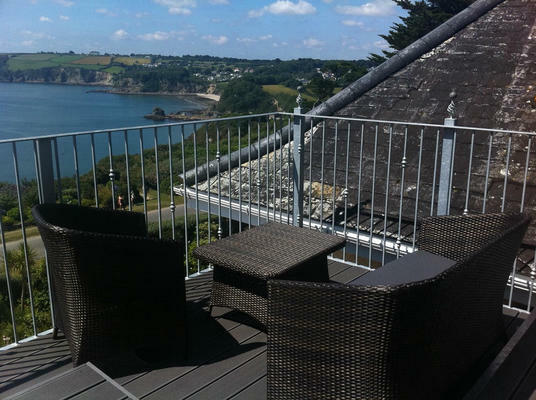 Set in award-winning gardens, this privately owned hotel is family-run and has the cosy ambience of a country house by the sea. 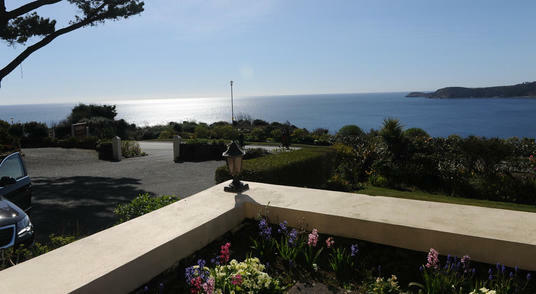 We offer an ideal base for exploring Cornwall's many attractions. and you can walk for miles along the coastline. all public areas and high-speed Wi-Fi broadband access. All rooms are en suite and well-appointed. A children's tariff is available. Please contact reservations for full details. 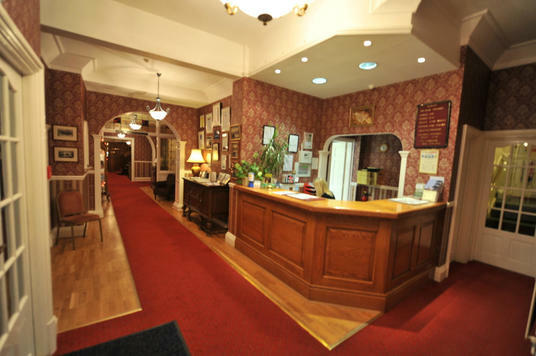 Our staff offer a warm welcome and friendly service. This combined with comfortable surroundings and delightful cuisine, ensure a memorable visit and one we are sure you will want to repeat. The Porth Avallen Hotel is also the perfect place for any special occasion. Why not hold your wedding, birthday, anniversary, christening or corporate event with us. We have a dedicated brochure with details for the prospective bride and groom or event planner. We are licensed for civil ceremonies and have a private suite to offer for your personal use. Please note that there is no lift and that the hotel is non-smoking throughout. Please call reservations for more information. Reflections Restaurant boasts an unrivaled view of the Bay and is the perfect setting to enjoy the delightful 4-course table d'hôte menu. The decor is stylish with wooden floors and modern furnishings. 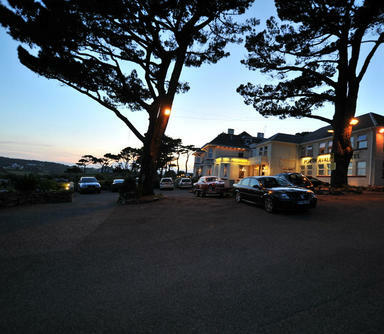 The Porth Avallen Hotel has a total of 28 rooms. This includes 4 Single Rooms, 11 Standard Rooms, 7 Luxury Rooms and 6 Superior Rooms. 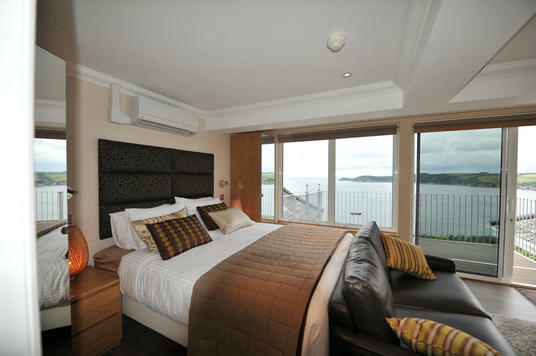 Luxury and Superior Rooms boast stunning sea views over Carlyon Bay! The hotel has no lift. 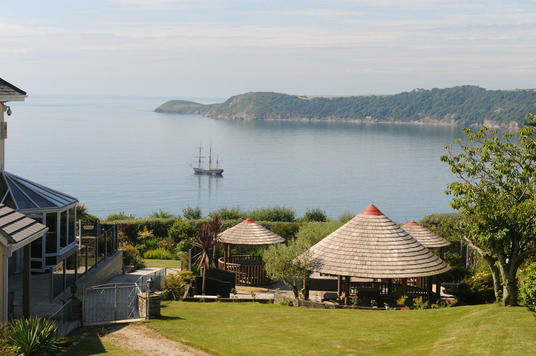 There are many attractions nearby the hotel, such as the Eden Project, The Lost Gardens of Heligan, Pine Lodge Gardens and many more. Guests arriving outside reception opening hours are kindly requested to inform the hotel when booking.